Countdown to 2018 in Your Apartment! This year, celebrate our leap into 2018 in your own home! 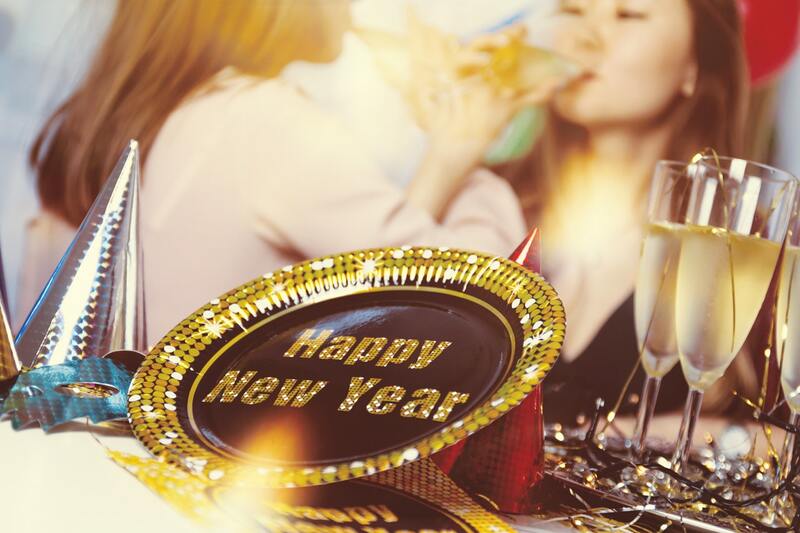 Your apartment makes for a great gathering place for friends and family this New Years Eve! Even if you decide to have a quiet night in, Ayre & Oxford have some great ideas for celebrating the last night of the year. Music is a party essential so make sure your playlist if full of great hits or make a fun theme! For the countdown, try using a website like TimeandDate.com to create a countdown timer and display it full screen for your guests instead of watching TV. Dance the year of 2017 away in music, through apps like Spotify who have compiled the playlists with best songs of the year. Make your party a BYOB and serve pop or juice, then hand out champagne for the midnight toast. Have some appetizers on hand - charcuterie (meat & cheese) boards are easy to prepare and guests can snack on it throughout the night. Or make things super easy for yourself and order pizza or other tasty take-out ahead of time and ask for delivery later in the evening. No matter how many people you invite to your party, it's good to remember that you do have neighbours that might not be in the mood to party, so don't let your party volume disturb others. Inform your guests ahead of time to be considerate and party responsibly. Invite your guests for about 9pm so they have plenty of time to mingle and play some great party games before the big countdown. Our favourite party games include Clothespins, New Year's Resolution Guessing Game (have all guests write down one resolution and put them in a jar, then party guests must correctly match the resolution to the person), and Charades using only New Year's Eve words. The best part about having the party at your apartment is the quick commute to bed! To make sure your guests arrive home safely, keep cab phone number's on hand, pre-order some Ubers or remind everyone about the free transit rides from Edmonton Transit Service. If you choose to enjoy a quiet night in, don't forget to have some fun while you are at it! There are lots of great games to play with kids or make it a family movie night and stay up late watching movies until midnight! Ayre & Oxford hopes all our residents have a very safe and happy New Year!